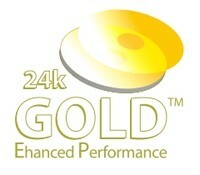 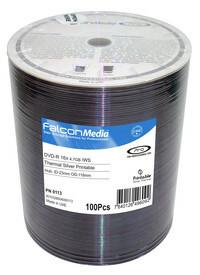 DVD-R discs suitable for printing on thermal printers Like the Rimage Everest, Teac P55, Rimage Prism, etc... 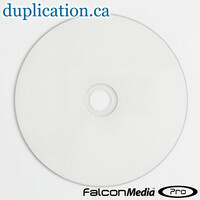 Many of these discs can also be used for silkscreening in large quantities. CMC PRO (was Taiyo Yuden) 8X certified silver DVD-R media, 100 piece plastic spindle. 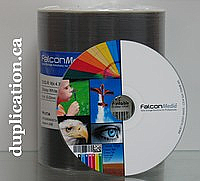 This is a perfect quality disc suitable for everyday use, silkscreening, and thermal printing with Prism-type printers. 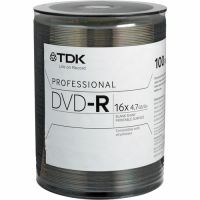 These discs work flawlessly on tower duplicators and on all dvd recorders.